Is Hitbox The Twitch Alternative For You? Video game streaming hub Twitch has seen incredible growth over the past several years as a destination for live, interactive gaming entertainment. From ubiquitous League of Legends streams 4 League Of Legends Streams To Make You A Better Player 4 League Of Legends Streams To Make You A Better Player The great thing about online gaming is that there are no restrictions. If you learn the game and you own a computer, you have just as good of a shot as anyone at becoming a... Read More to broadcasts of games you might not expect to see played live 4 Games You Might Not Expect To Find On Twitch.tv 4 Games You Might Not Expect To Find On Twitch.tv There are certain games that you'd imagine are watched the most on Twitch: League of Legends, StarCraft II, Dota 2, World of Warcraft, Call of Duty, etc. 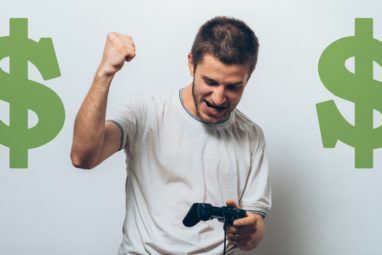 Though they may be the most popular, there... Read More , there’s a staggering variety of content, and tens of millions of video game fans watch their favorite broadcasters there every month. 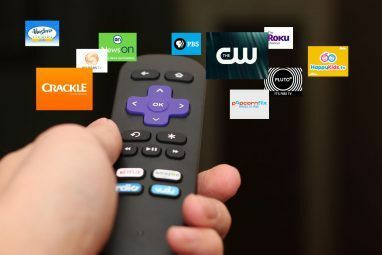 Recently news surfaced that Google was in talks to purchase Twitch, and though neither company is commenting on the rumors, it’s not hard to believe in the wake of this week’s YouTube-like sweeping changes to how Twitch is treating video on demand (VOD) content. Twitch isn’t the only dedicated game streaming community around, though. Hitbox may only field a fraction of the traffic that Twitch gets, but a number of broadcasters and viewers are pledging to migrate to the smaller community that might better meet their needs. Read on to learn how Twitch is changing, and to see what Hitbox has to offer. On August 6th, the official Twitch blog dropped a pair of major announcements on the community. The first announcement stated that the site would be removing “Save Forever” functionality for past broadcasts. This means that 14 days after any stream (60 days for Twitch Turbo users and partners), Twitch will delete the archived version of that broadcast from your channel. Users can still create highlights from their shows, which are saved forever, but they now have to deliberately create them using the video manager described in the video above, instead of simply pushing a save button. The reason Twitch is changing the way the site stores videos is so that they can convert to a system that makes VOD content available on mobile devices, and delivers it more smoothly to international audiences. Broadcasters have been given three weeks to archive their content before non-highlighted content will be deleted. The second announcement, however, was implemented with no warning or grace period. Twitch has partnered with Audible Magic to scan VODs for copyrighted music, much in the same way Content ID does on YouTube. If Audible Magic detects copyrighted audio in a portion of the recorded content, it mutes the audio on the 30 minute chunk of the stream containing the offending music, as shown by the red highlight in the image above. Unfortunately, this automatic process alienates many broadcasters who enjoy streaming with their iTunes libraries, Pandora stations, or other music playing in the background. It also mutes audio even if the licensed music is part of the game, such as with Grand Theft Auto V’s radio stations, and even the original soundtracks as they appear in the game could be flagged if they’re part of Audible Magic’s list. In the event that broadcasters do have rights to play the flagged music, they’ll need to file an appeal with Twitch via a newly implemented system to have the mute lifted on their recording. Note that this only applies to VOD content, and not live broadcasts, but the automated system’s shoot first, ask questions never approach is leaving many broadcasters outraged. Twitch is definitely the biggest dog in the game streaming yard, but it isn’t the only option. Many viewers and broadcasters have responded to Twitch’s controversial changes by setting up accounts with the most promising competitor in the game streaming field. 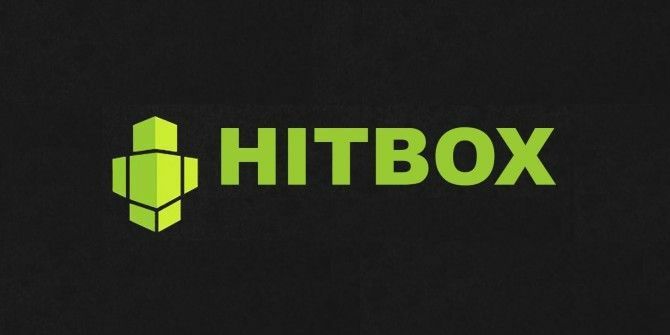 The folks at Hitbox aren’t letting their competitor’s controversy go to waste, and they’ve posted a rallying cry, complete with a suggested hashtag, to bring you into their fold. Timely propaganda aside, if Hitbox can keep up with their promises, it could easily be the next great streaming community. There was a time when video delay on Twitch was near non-existent, but because their technology scaled poorly, they eventually had to implement a delay that’s anywhere from 15-30 seconds. Hitbox claims they’ve got those scaling challenges figured out, and can continue to host streams with a delay as low as two seconds into the foreseeable future. Hitbox’s chat technology is impressive too, boasting features like polls and raffles that Twitch streamers have to use bots or plugins to get. Above all, they’re trumpeting a community first philosophy; one that would never subject you to the indignity of automated copyright enforcement among other things. Like Twitch, Hitbox also has a partner program for broadcasters who can generate consistent traffic. Though the community at Hitbox is smaller, the minimum requirements for partnership are lower, too. If you can bring in 100 concurrent viewers three times a week, you could get the premium transcoding, ad monetization, and subscription features that require much more traffic to earn on Twitch. Hitbox’s pitch does seem very promising, but we’d be remiss if we didn’t mention some of its controversy too. A member of Hitbox’s leadership, CEO Martin Klimscha, was the CFO of Own3d.tv, another streaming service that went bankrupt. A number of streamers who were promised big payouts for moving their business to Own3d have made public that they were never paid the full amounts promised to them. Notable League of Legends and Starcraft 2 player Destiny chronicled his struggle to get paid in great detail on his blog. With this unfortunate bit of history hanging over Hitbox, it’s on the company to prove its trustworthiness while Twitch is on the back foot. It’s tricky to decide whether you want to leave an established service like Twitch behind for a newcomer like Hitbox, even considering the stifling climate Twitch has just thrust upon content creators. Further complicating things is the fact that Twitch could come out a week from now and backpedal on some of these policies if the backlash against them does enough damage. Late on August 7th, they already lifted the two hour maximum length on highlights, which had proven to be a sticking point with the speedrunning community. Anything can happen. 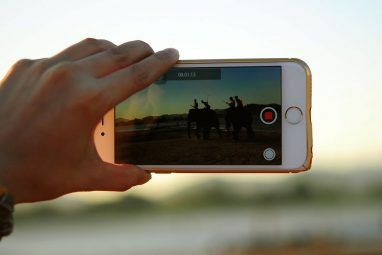 No matter where you decide to stream, we’ve got plenty of advice to help you get started 10 Tips for Building an Audience for Your Live Streaming Channel 10 Tips for Building an Audience for Your Live Streaming Channel Are you starting a Twitch channel and wondering how to create an exciting stream? These tips will help you draw loyal, regular viewers and expand your audience. Read More , and choose the right games Can't Get Viewers on Twitch? You're Playing the Wrong Games Can't Get Viewers on Twitch? You're Playing the Wrong Games Trying to build an audience on Twitch feels like hosting a party that you forgot to send out invitations for. If you want to boost your traffic, consider these questions when you pick a game. Read More . Will you be sticking with the big purple powerhouse of Twitch, or are you headed for the greener pastures of Hitbox? Share your opinion in the comments below! I don't think the three weeks notice thing on past broadcasts is even true, except maybe for turbo users/partners. I had some videos that I planned to upload to YouTube from past broadcasts that had been saved, at that time, for 3-5 days and they were gone right as the announcement was made. Needless to say I'm not using Twitch anymore. Hey Thomas. I see where the confusion is. Twitch has had a policy of ditching your past broadcasts after about 72 hours for several months now. Unless you clicked "Save Forever" on them in the 72 hours after your broadcast, they'd be deleted. What Twitch is telling us now is that they're going to delete all the "Save Forever" content because they want broadcasters moving exclusively to highlights or exports. The three weeks notice thing applies to anything you've ever flagged as "Save Forever". You now have to export or highlight those before Twitch deletes them for good. Not the answer you wanted to hear I'm sure, but I hope it clears things up! I'm not sure. I had the save forever option enabled and some broadcasts from that change are still available. Only one of them is a highlight, and all of them that are still saved are ones that I've already uploaded to YouTube. My most recent three or four videos (which had not yet been uploaded) are gone, though. People keep saying it's "just a rumor," but everything about this points to finalization of a buyout by Google, and not just the ToS changes. On Twitch people are being advised by Twitch staff to record locally and upload directly to YouTube. My videos which are already on YouTube are still saved (even the ones that are not highlights), and integration with YouTube in general seems to be much more complete, in a manner of speaking. On top of this there is the shutdown of Justin.TV. Twitch was born from Justin.TV and Google likely deemed that Twitch alone was all they wanted and now Justin.TV is simply getting the knife. I'm not sure about alternatives because Twitch is mostly a much better service than the other guys, and I haven't done much research yet. The money troubles with Hitbox are not necessarily dealbreakers. Twitch has something of a monopoly on video game streaming, and the bankruptcy of Own3d.tv can be attributed to this. I'm willing to give them a shot. I guess I'll find out if it's worth it or not.